﻿ How to Use Email to Create Customer Loyalty » Red Mango Marketing! Most business owners understand the importance of customer loyalty. Customer loyalty means that people who buy from you will keep coming back, choose you over the competition, and spread the word on the benefits of being your customer. Once you have loyal customers, the hard part is over – but the work is not. Want to generate customer loyalty? Join us for a free webinar on how to build stronger relationships by sending timely, relevant emails to your subscribers. 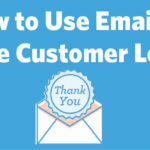 The post How to Use Email to Create Customer Loyalty appeared first on Constant Contact Blogs. This entry was posted on Wednesday, May 9th, 2018 at 9:12 am	and is filed under Email Marketing, News & Updates. You can follow any responses to this entry through the RSS 2.0 feed. Both comments and pings are currently closed.